← Lions and tigers and bears…Oh my!! Last week I had mentioned doing a post about ice cream once a week. But with some whimpering from my jeans and the fear that I might pop a button off of them that could possibly land in someones eye, I’ve decided to make these more of an occasional post rather than a weekly. Which bodes well with my waistline and my jeans. 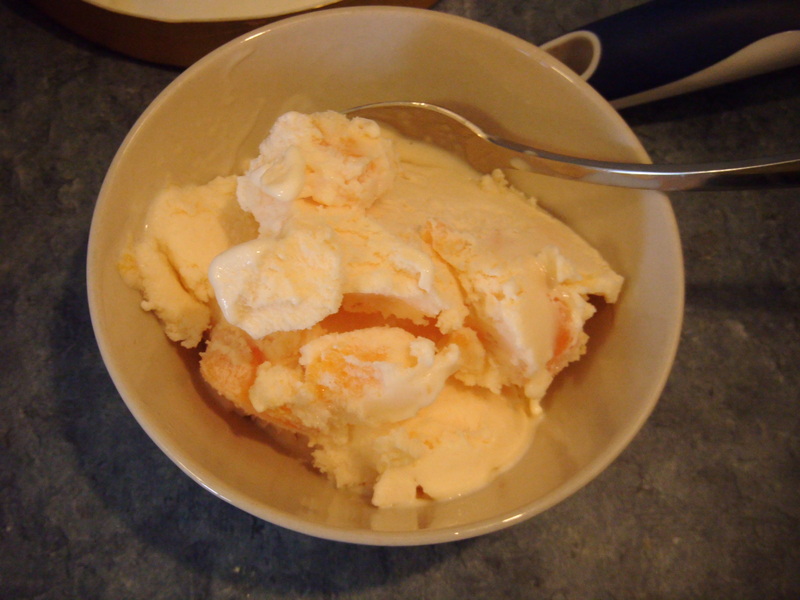 Last night, instead of having a healthy bowl of Special K, or a nice piece of watermelon, I decided to jump off the healthy snack wagon and have a little scoop of heaven in a bowl. 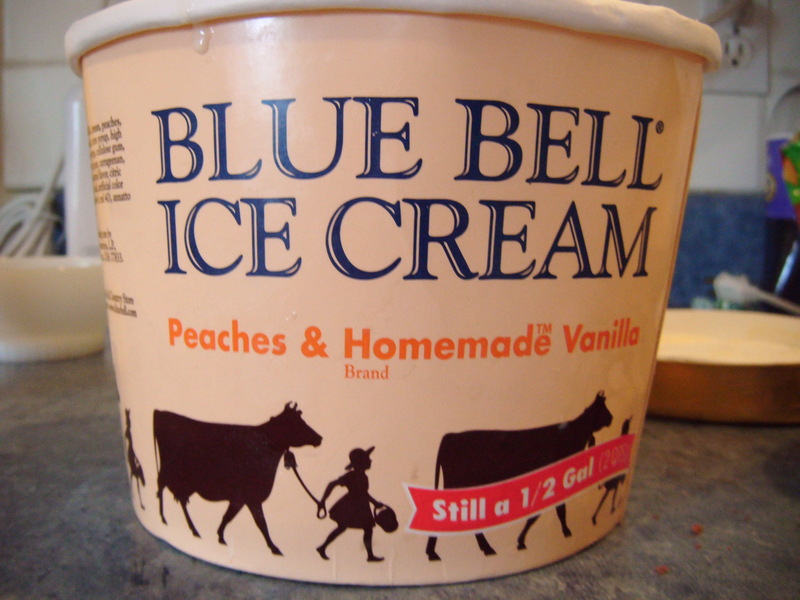 Blue Bell’s Peaches and Homemade Vanilla. Heavenly does not begin to describe it. It was all I could do to stop at one small ice cream bowl, but my poor jeans were screaming in pain from all of the stretching. And there was that little fear of buttons flying off of my screaming jeans that kept my need for seconds at bay. 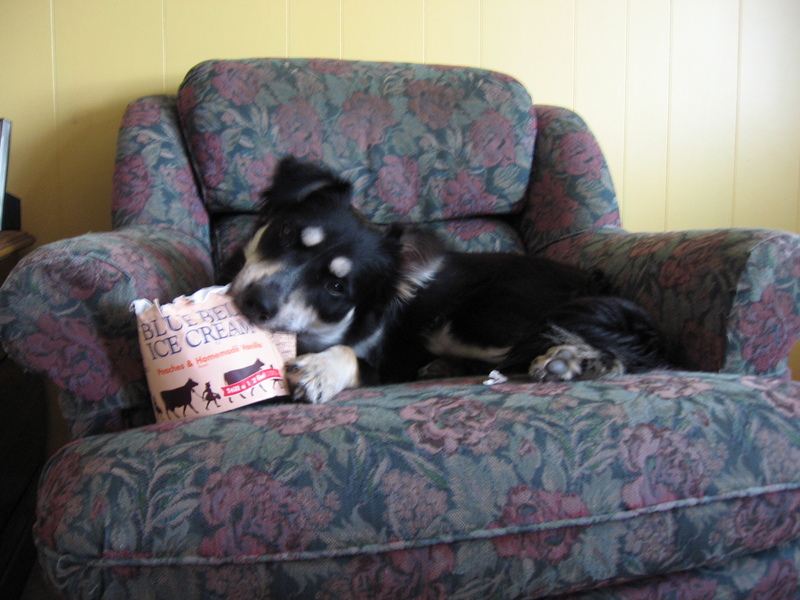 My sweetie and I were not the only ones at the yellow casa who enjoyed a good dose of ice cream heaven. Well, I think she enjoyed the container it came in more than the sweet treat itself. But I suppose it’s healthier than eating it’s contents, afterall, doesn’t cardboard contain fiber?